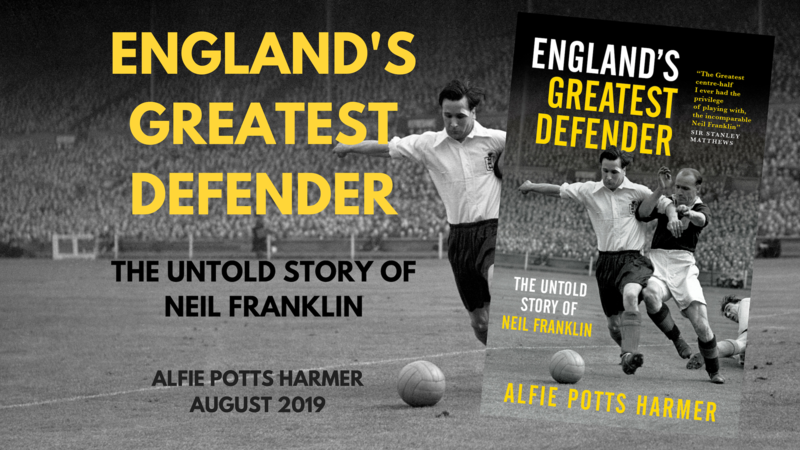 Over the next month, AHTR is putting together a collection of some of the most fascinating stories from the 1930 World Cup. The first of these is the story of Hector Castro, better known in Uruguay as ‘El Divino Manco’, which translates as ‘The Maimed God’. Castro was a prolific and combative centre-forward who scored in a World Cup final and won a total of 8 Uruguayan Championship’s as player and manager of Uruguayan giants Nacional. He is perhaps best known though for having an amputated right forearm, a rare feat for a footballer, especially one who reaches the heights that Castro did. Despite his injuries, Castro had a successful 15-year career, winning the World Cup, an Olympic Gold, two Copa America’s and becoming the fourth highest scorer in Uruguayan history at the time of his retirement. Castro, like so many South American footballing greats, was born into severe poverty. He was born and raised in the city of Montevideo, much like over a third of the entire population of Uruguay. His families financial situation forced Castro into work at the age of 10, and into a line of work which meant operating on heavy machinery despite his tender years. It was at the age of 13 that Castro’s accident occurred. His right forearm was severed by an electric saw, leaving the teenager permanently maimed. Such a handicap would spell the end of any sporting pursuits or hopes in most, but not in the case of Castro, who continued to play the sport he loved in the hope of making a career out of it. At the age of 17 he was signed by Athletic Club Lito. It was a far cry from the lofty hopes of Castro and the dreams of international recognition he would eventually realise, but it was his break into the game and a chance to exhibit his abilities; and exhibit his abilities he did. In 1923, aged 19, the youngster was signed by Nacional, one of the two great clubs in Uruguayan football. Success was immediate upon signing, as Castro stepped straight into the first team, helping Nacional to win the 1923/24 title. His performances saw him win his first cap for Uruguay in November 1923, achieving the rare distinction of making ones league and international debut in the same calendar year. El Divino Manco’s first major success on the international stage came in 1928, at the Olympic Games in Amsterdam. Having won Gold at the 1924 Games in Paris, with super stars such as Jose Andrade and Jose Nasazzi in their squad, Uruguay were favourites for what was then the world’s premier international football competition. They did not disappoint. Convincing wins over the Netherlands and Germany teed up a mouth-watering final against bitter rivals Argentina. The Argentines had called the legitimacy of Uruguay’s title in 1924 into question, due to their lack of participation in Paris, giving the game an added edge that games between the neighbouring nations rarely need. Such was the sense of intrigue surrounding the game, over 250,000 people applied for tickets to the match. A 1-1 draw saw the game go to a replay, in which La Celeste won 2-1. As a result of Uruguay’s second consecutive success in the Olympics, Fifa decided that it would be them who hosted the first ever World Cup two years later, in 1930. This decision was influenced in no small part by Uruguay celebrating 100 years of independence from Spain the same year, and also the fact that the country offered to underwrite the costs of teams travelling to the finals. In a career of many successes and triumphs, it would be the 1930 World Cup that would go down as ‘El Divino Manco’s’ greatest achievement. It was not one which came easily though. Omitting the obvious fact that he had first had to overcome a serious disability to reach this stage, Castro was still far from a nailed-on starter for Uruguay. He began the first game, in which Uruguay faced Peru, and Castro scored the only goal of the game. This made him Uruguay’s first ever World Cup goal scorer and the first player to score at the now-legendary Estadio Centenario. Despite his goal scoring performance, El Manco was dropped, in favour of Penarol forward Peregrino Anselmo, believed to be the first ‘false 9’ or withdrawn striker to play in a World Cup. Anselmo, like Castro, took his chance. He scored in both his appearances, first a 4-0 drubbing of Romania, followed by an even more emphatic 6-1 win over Yugoslavia in the semi-final, Anselmo bagging a brace on that occasion. His World Cup was to end in the semi-final though, injury ruling him out of the much-anticipated final, once again pitting Uruguay up against their bitterest of rivals Argentina. With that, Castro was back in. The 1930 final was much like the 1928 final in that it was a close fought affair, but whilst the fixture two years earlier had been cagey and rather more tactical, this tie saw the two teams a lot more willing to attack one and another. Some reports suggest Castro and other Uruguayan players were offered lucrative sums to throw the game, and the threat of death should they fail to do so. Such was the animosity between the two nations, they both refused to play with a ball provided by the opposition. Ultimately Fifa had to step in, and it was ruled that Argentina would provide the ball for the first half and Uruguay the second. As it turned out, both teams performed far better in the half in which they had their ‘own’ ball. Argentina led 2-1 at the break, and looked to be on top, but Uruguay made a quick start after the interval, and by the 68th minute they had turned the game on its head, now leading 3-2. The last 20 minutes could fairly be described as a backs to the wall job, as wave after wave of Argentine attacks were met by a resolute Celeste defence. With the clock ticking ever closer to the final whistle, and Argentina still pushing, Uruguay broke at pace, before the ball found it’s way to Castro, who fired past Juan Botasso to seal the tie, and crown Uruguay as the first world champions in the history of the game. Uruguayan police readied themselves on the streets of Parque Batlle in preparation for the violence. It was actually the streets of Buenos Aires, over 350 miles away, where most of the violence took place. Argentine football fans attacked the Uruguayan Consulate, whilst a group of women carrying the Uruguay flag were stoned. Uruguay declared the following day a national holiday, but the violence in Argentina ensued, giving credence to the suggestions that La Celeste’s players may well have been given some rather severe take-it-or-leave-it offers prior to the match-up. The 1928 Olympic Games and the 1930 World Cup were not Castro’s only conquests on the international stage. He and Uruguay also emerged victorious from two Copa America’s, Castro playing a starring role in both. At the 1926 tournament he scored 6 goals in 4 games as Uruguay claimed the title, and in 1935 he rounded off his international career in style, scoring against Peru and Argentina as La Celeste were crowned champions once more. He retired from international football after the tournament, with a record of 18 goals from 25 appearances for his country, having won four major tournaments. At club level, Castro may have won the title in his first season at Nacional as a 20-year-old, but he would have two wait almost a decade for his next Uruguayan championship. The 1933 Uruguayan Championship was the most noteworthy of these, standing as one of the most controversial league titles in history, and one which is still talked about by supporters of Nacional and Penarol to this day. The controversy began when the referee and linesman failed to award a throw-in, despite the ball clearly having gone out of play. The ball rebounded off a kinesiologist’s medicine cabinet and back into the field of play, from which Penarol went on to score. The Nacional players were understandably outraged, and that anger spilt over into violence. Three Nacional players were sent off for assaulting the referee, who was unable to continue. The assistant referee took charge of the tie in the 70th minute, but immediately abandoned the game due to bad light. This only added to the farce. It would be two months before the game would continue, by which time the league board had taken the decision to disallow the Penarol goal and rescind one of the Nacional players red cards, whilst the other two would stand. Due to the controversy and heightened tempers surrounding the game, the continued fixture was played behind closed doors. Despite having only 9 men, Nacional hung on for the remaining 20 minutes and a highly unusual double extra time, totalling 80 minutes of football on the day. The game became known as ‘9 contra 11’ among Nacional fans, due to Penarol’s two man advantage. With the game still stuck in deadlock, another fixture had to be scheduled between the two sides, but no goals were scored in this game either, making it 300 minutes of football between the two sides with no goals. The third and final game between the two teams exploded into life though, and no man was more solely responsible for that than Hector Castro. El Divino Manco scored a hat-trick, twice equalising before scoring the winning goal in a thrilling 3-2 win for Nacional to end an incredibly drawn out battle for the title. The remarkable circumstances which had seen the game rearranged three times meant that, bizarrely, the 1933 Uruguayan Championship wasn’t awarded to Nacional until November 1934. Castro hung up his boots in 1936, aged 32, having retired from international football a year earlier. He was the fourth highest scorer in the history of the Uruguayan Primera Division at the time of his retirement, and remains the seventh highest of all time, with a record of 107 goals in 181 league games. His figure of 18 goals in 25 caps for his country represents an even more impressive goals to game ratio, and included scoring in every World Cup game he ever played in, including a final, and being Uruguay’s top scorer in two Copa America’s. He never got the opportunity to prove himself at a second World Cup, as Uruguay turned down the invitation to play in the 1934 World Cup in Italy, and the 1938 World Cup in France, although Castro had retired by the time of the second of these. La Celeste had been angered by only four European countries having been bothered to turn up when they hosted the inaugural World Cup in 1930, and thus saw no reason why they should trek half way across the globe when most European nations had refused to do so. To this day, Uruguay are the only reigning champions not to play in the following World Cup. Castro himself was a robust player. An old-fashioned centre-forward in many respects, he was not particularly graceful, nor was he blessed with fine technique. He was effective though. Quick, strong and with a lethal finish to boot, El Divino Manco was devilishly clever in and around the box, but considered by many to even be quite a dirty player. He received little pity from the opposition for his disability, given that he often used it to his advantage, using what remained of his right arm to clatter into players when challenging for aerial duels. Off the field he was a renowned drinker, womaniser, chain-smoker and a gambler. Following his retirement from the professional game, Castro moved into coaching. He was assistant manager at Nacional when they won the Uruguayan Championship in 1939, and became the teams head coach the following season. Castro managed Nacional in two spells, the first spanning from 1939-1943 and the second coming in 1952. He won the Uruguayan Championship five times as a manager, these titles coming in; 1940, 1941, 1942, 1943 and 1952. This astonishing record meant Castro won the league title in every single season he managed Nacional in, winning more domestic honours as a coach than he had done as a player. His only other managerial post was serving very briefly as manager of the Uruguayan national team in 1959. Castro died on the 15th of September 1960, aged 55, he was still living in Montevideo. A heart attack was the cause of his death. He had mystified the Uruguayan press when resigning from the Uruguay national team job so shortly after having accepted the post, but with his death coming so quickly after his resignation, it is now believed Castro had become increasingly aware of his health problems. He is remembered as a hero of Nacional, Uruguay and the triumph of the human spirit. A man who wouldn’t let an electric saw thwart his pursuits of sporting greatness, and went on to become a World Cup winner and an Olympic gold medalist.